President Hamid Karzai has blamed the US for a drone strike on a home in southern Afghanistan that killed a 2-year-old child and wounded two women, vowing that he will not sign a key bilateral security deal if such attacks continue. The president stated that the airstrike was suspected to have been carried out by US “pilotless aircraft” and targeted a house in Helmand Province. 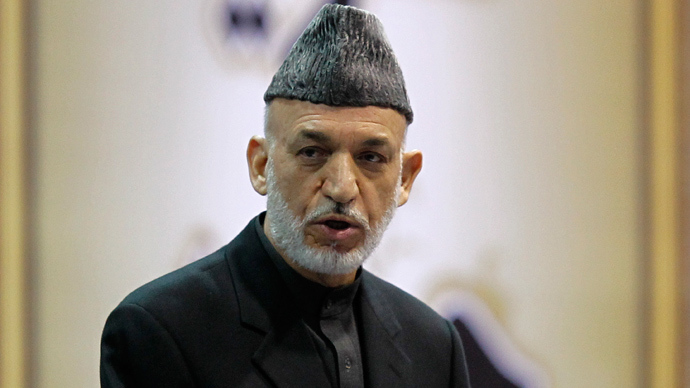 Karzai added that he received his information from the governor of the province, Mohammad Naem. Late Thursday Night, Gen. Joseph F. Dunford Jr., the American and NATO commander in Afghanistan, called President Karzai to apologize for the strike. “He talked to President Karzai directly, expressed deep regrets for the incident and any civilian casualties, and promised to convene an immediate joint investigation to determine all the facts of what happened,” a coalition spokesman speaking told the New York Times Friday on condition of anonymity. No details were provided by the US-led coalition about Thursday’s airstrike. But the NATO-led force in Afghanistan said it will investigate it, adding that it “deeply regrets” any civilian deaths that happened, according to Reuters. The strike came as US and Afghanistan are in the midst of negotiating a bilateral security agreement that has so far not fleshed out the details about under what conditions US troops will stay in Afghanistan past the NATO forces’ pullout in 2014. Last week US had thought it finalized the deal by proposing to leave 15,000 soldiers in Afghanistan to train and assist the country’s military. 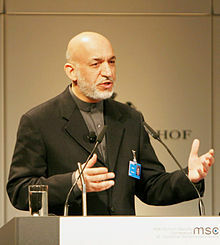 But, Karzai had doubts about signing the deal, expressing concerns over US meddling in Afghanistan’s internal affairs. This week, Karzai has called on the US to cease all military operations against civilian homes and show a clear dedication to the peace process before a security pact is signed. Karzai set the conditions in a meeting with US National Security Advisor Susan Rice, the US envoy to the region and the NATO commander in Afghanistan, Reuters reported. “President Karzai outlined new conditions for signing the agreement and indicated he is not prepared to sign the BSA promptly,” the White House said. The conditions included returning Afghan citizens from the US detention center at Guantanamo Bay as a clear step to launch the peace process ahead of the scheduled exit of most US and NATO forces beyond 2014. Karzai’s new conditions for a Bilateral Security Agreement (BSA) come after he rejected the endorsement of the security deal by an assembly of Afghan elders on Sunday. The Loya Jirga, or grand assembly, recommended Karzai to sign the agreement. Earlier, the US government said that if the deal with Afghanistan is not signed by the end of 2013 then it will have to begin withdrawing its troops completely starting next year. NextIf This is Real, It is Mind Blowing!